1. Q: Why is Motoring Africa important? A: Motoring Africa is important because if offers both an opportunity and a solution. The economic and population growth projected to occur on the African continent (1.2 billion today to over 2 billion by 2050) presents an opportunity for global businesses and investors. Local manufacturing and industrialization will improve the business’ cost structure, profitability, and odds of marketplace success. Local value-added production will generate the jobs needed for the continent’s young, sizable, and growing workforce. A: Creating the capability to engineer and manufacture automobiles and their 30,000 complex parts will develop skills that can be applied to other industries. If a nation’s people can create and manufacture cars, they can create and manufacture anything. The auto industry creates opportunities for hundreds of smaller entrepreneurial companies to manufacture these parts and creates the demand for jobs at all skill levels. Also, the growing local African economies will demand more motor vehicles. Why not build them locally? 3. Q: Why you? Why did you write Motoring Africa? A: Throughout my career as an engineering and business leader in the global automotive industry, I have helped automakers succeed in China, India, South Korea, Brazil, and Mexico. I have personally seen how automotive industrialization has helped transform the economies and living standards in these markets. The conditions are ripe for this development miracle to repeat in at least 6 of the 54 African nations. It is my plan to help manufacturers, investors, and local economies also succeed at automotive industrialization in Africa; and do so sustainably. 4. Q: What is the basis of your recommendations in Motoring Africa? A: My recommendations are based on my work with and research of companies that have succeeded in or working towards industrializing automobile manufacturing in emerging markets in Asia, Latin America, and Africa. 5. 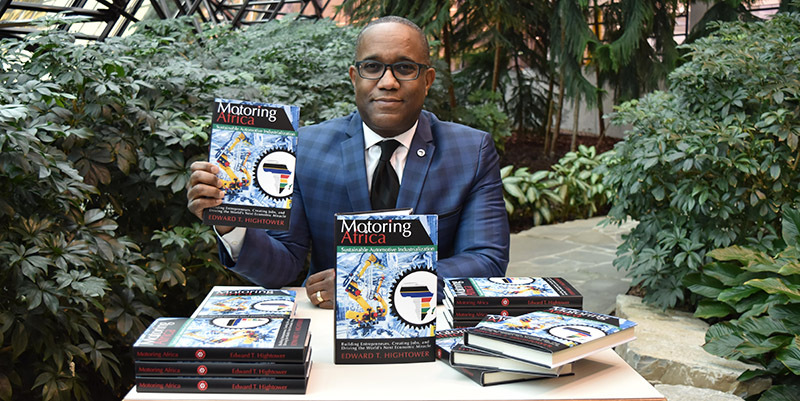 Q: How is this book different from other business books about the automotive industry? A: Most business books on the auto industry treat Africa as an afterthought, and do not recognized the potential of this market. If they do mention Africa, the discussion is about importing and selling in Africa, not designing, engineering, and producing in Africa. 6. Q: How is this book different from other books about Africa? A: Most books on Africa only treat the continent as a problem statement. Motoring Africa is forward looking and actionable. Also, it is written from the perspective of an experienced industry professional, as opposed to the more frequently presented perspectives of development economists, academics, and international affairs journalists. 7. Q: Isn’t investing in Africa risky? Why hasn’t all of this been done already? A: Yes. All emerging markets investing involves risk. These risks, plus the business community’s limited investment in understanding of the potential of African markets has resulted in inaction. Motoring Africa presents 10-steps for successfully industrializing automobile production based on emerging market successes over the last 20 years. The book also recommends strategies for addressing the risks inherent in investing in emerging markets. A: In addition to the growth macro that is positively impacting the African continent, advancements in manufacturing technology (Industry 4.0) will enable manufacturing operations to be established on the continent at a lower investment and with fewer negative impacts on the environment and community. 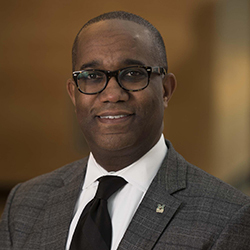 Also, advancements in the automotive industry (Auto 2.0) will make individual transportation more accessible to all income levels through ride sharing and shared vehicle mobility services. However, the vehicles will still need to be designed, engineered, and manufactured. Executing sustainable automotive industrialization is consistent with the United Nation’s seventeen sustainable development goals (SDGs). 9. Q: How does Motoring Africa address the topic of sustainability? A: Motoring Africa addresses sustainability both from the standpoint of business success over the long-term, and from the standpoint of making the right choices for the environment and local communities. Motoring Africa presents how a focus on the customer, while optimizing operations and productivity will contribute to sustainable business success. The book also explains how businesses making sustainable choices in the areas of product development, product production, and product consumption will benefit the environment and community. 10. Q: What comes next? 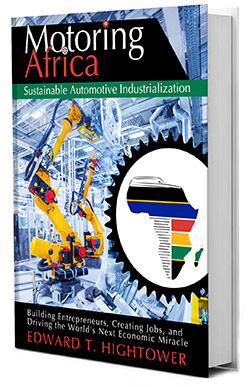 A: I wrote Motoring Africa not only to talk about industrialization in Africa, but to do industrialization in Africa; in the automotive and other complex consumer and industrial manufacturing sectors. I am looking for great partners to join me on this journey. For more information visit motoring54.com. I may be reached by e-mail at eth@motoring54.com or through Twitter @E_T_Hightower.